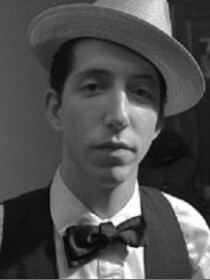 Pokey LaFarge was born in the heartland of America and took to the open roads at a young age, earning the key to the freedom by hitching rides and writing boxcar ballads that spun tales of a boy finding his way through this big wide-open country. He submerged himself with the most American of music and embraced himself in the beauty of the land while picking and strumming with down-home groups everywhere he went, falling in with traveling caravans of vaudeville poets and hell-raising bluegrass pickers alike. In true rambler fashion, LaFarge does not look back; he looks only forward on the next road ready approaching with his guitar in his hand and his voice ready to fly. His influence is deeply rooted in the heroes and misfits of yesterday; the long lost troubadours of country, the kings of swamp-drentched ragtime, and all the legendary bluesmen of the Cotton Kingdom. The result is a boiling pot of American cultures; a wonderfully fresh and quirky kind of pop music that combines delta-meets-appalachia song-writing with a big, big beat. Even though the songs were birthed in the hills and country towns of old America, don’t call it old-timey; LaFarge is here to grace it into this modern and electric world. Along with his refreshing take on tradition, Pokey brings his irresistible charm and genuinely romantic outlook on, not only subjects such as the rivers and the land itself, but universal topics such as love, death, and real adventure. With a firm grasp on personal freedom and Shakespearean insight on humanity, Pokey remains one of the very few folks who consistently turn the abstract into a concrete reality. Music is not just chords and notes and melody. To a person who truly loves music, it is a medium to celebrate this life. 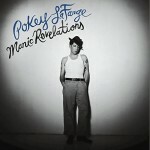 For Pokey, every show is a celebration – juke-joint style – where women twirl in their dresses and the fellas stomp their feet and clap their hands. To this day, Mr. LaFarge is still finding tranquility within the yellow highway lines playing up to two-hundred shows a year bringing his music to anyone young and old who is willing to listen.